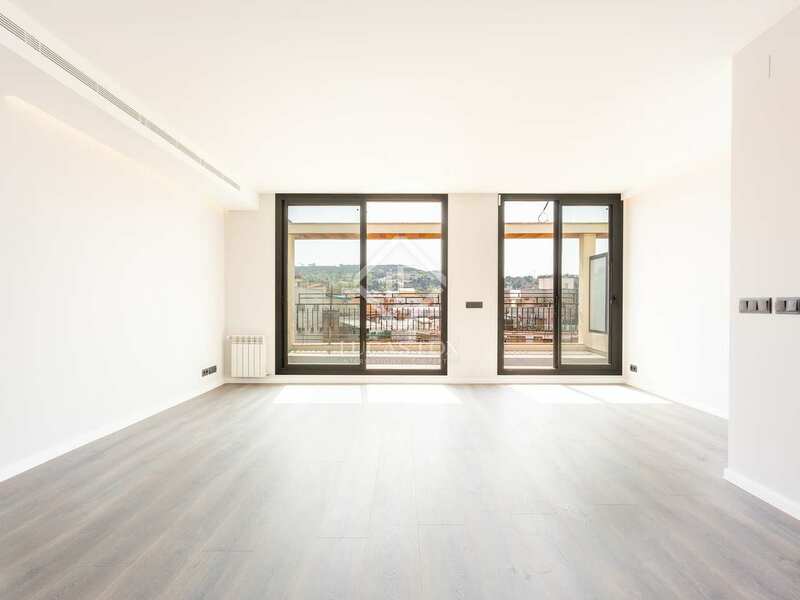 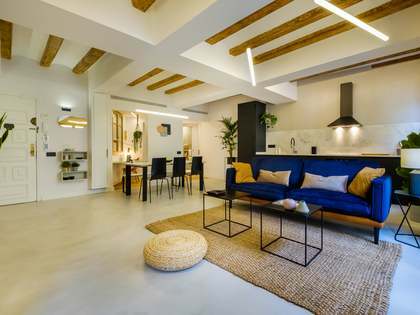 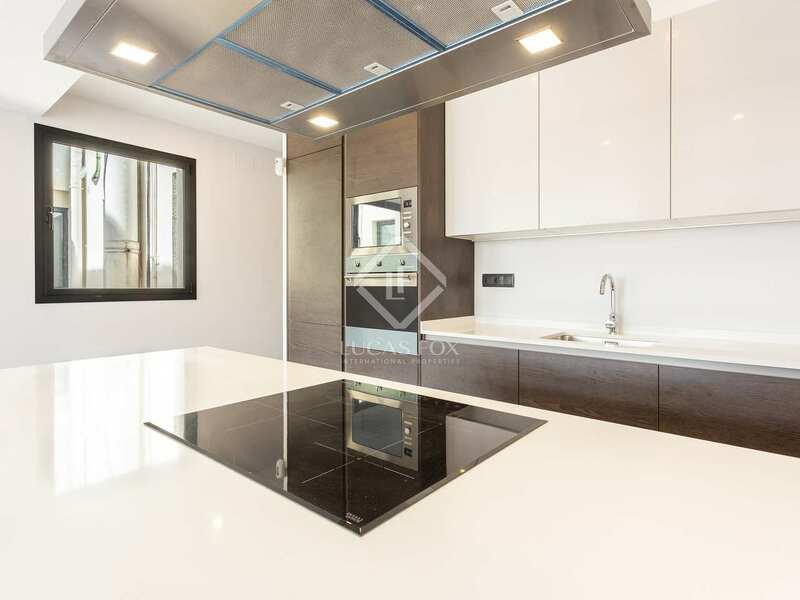 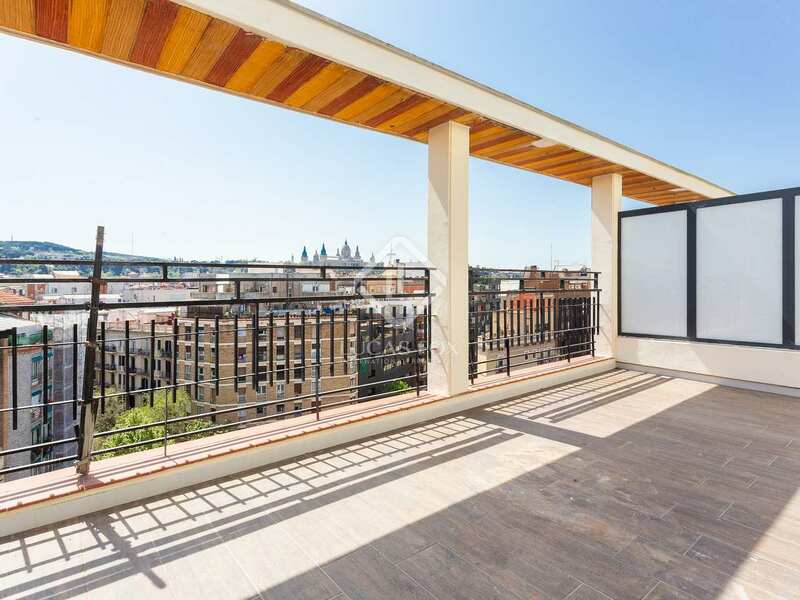 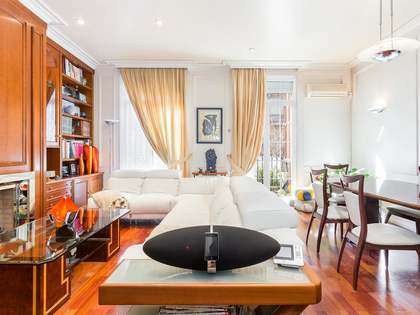 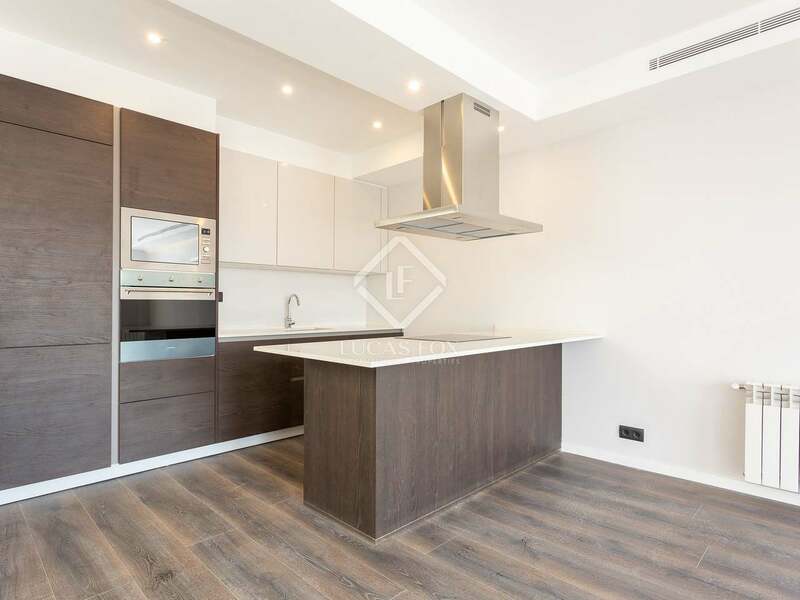 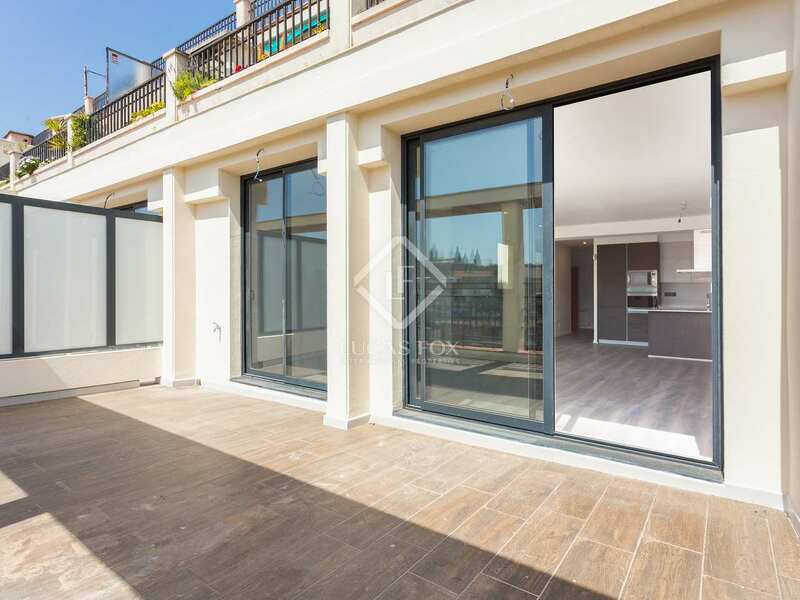 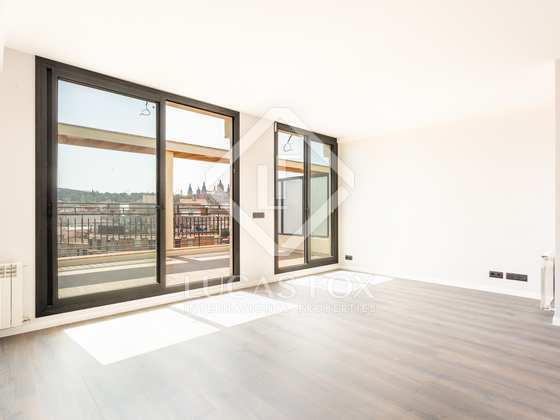 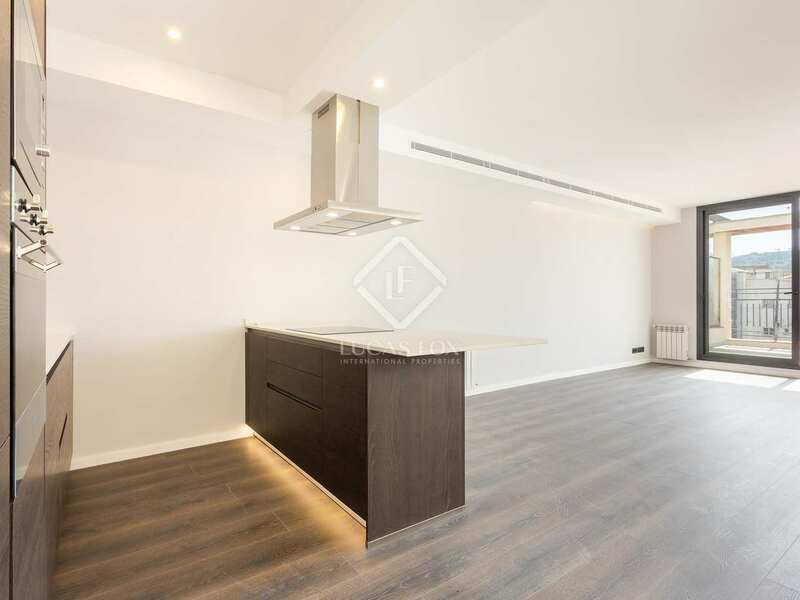 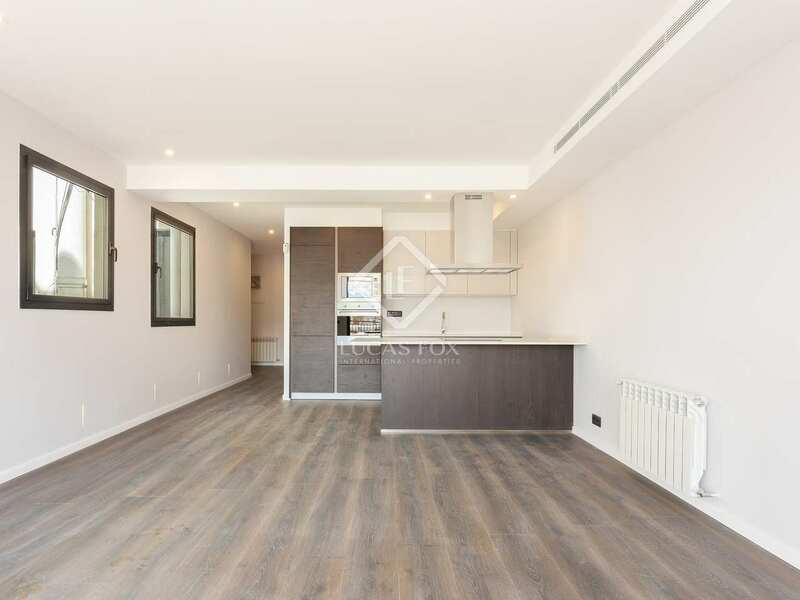 Excellent penthouse which has recently been renovated and enjoys a good location on a quiet street in the up-and-coming Sant Antoni neighbourhood of Barcelona, surrounded by restaurants and amenities. 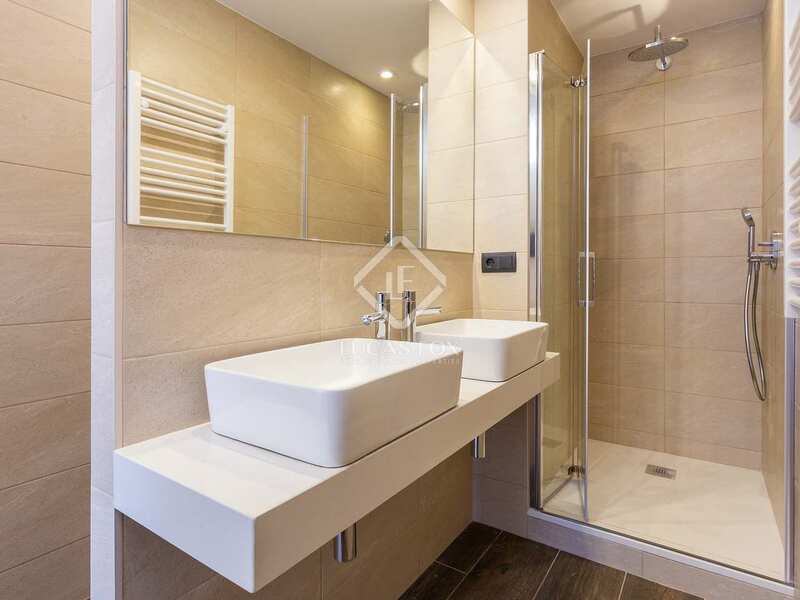 This penthouse property has an entrance hall which neatly divides the day and night area. 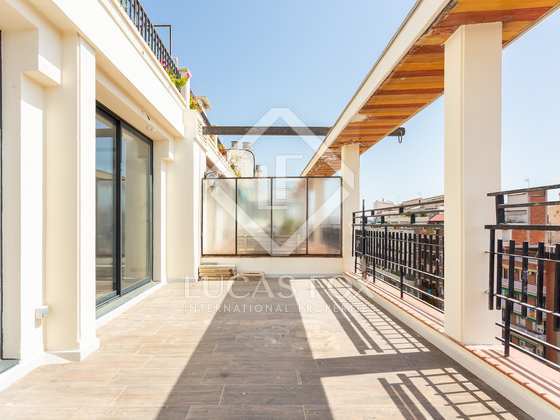 To the right of the entrance is the day area which covers approximately 36 m² and comprises an open plan living room, dining area and kitchen, all leading out to the terrace of 22 m² which enjoys a southern aspect with incredible views of Montjuic. 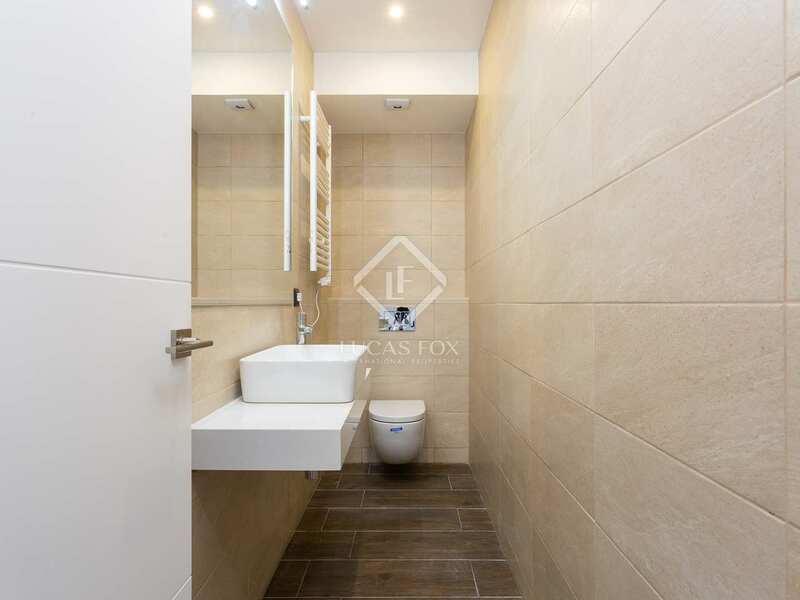 A guest toilet and utility area completes this part of the property. 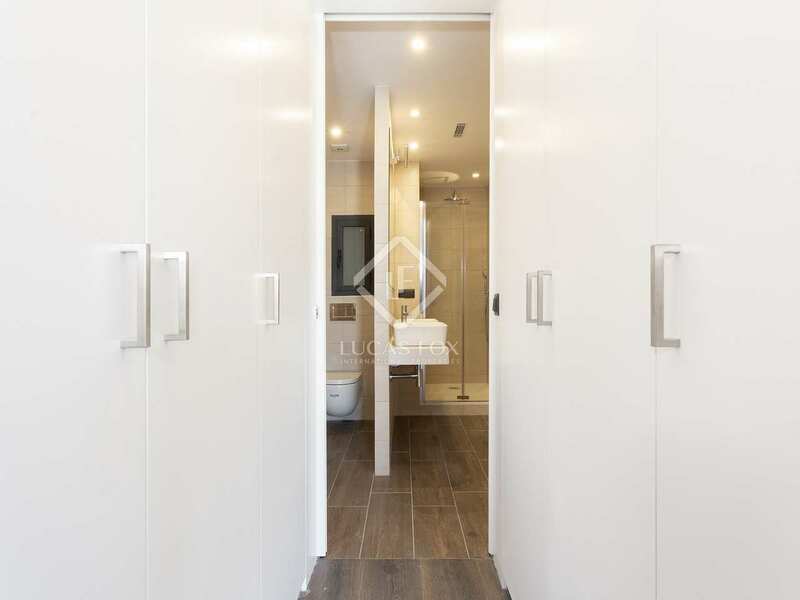 To the left of the entrance we find a shared bathroom and 3 double bedrooms, one of which has its own private bathroom. 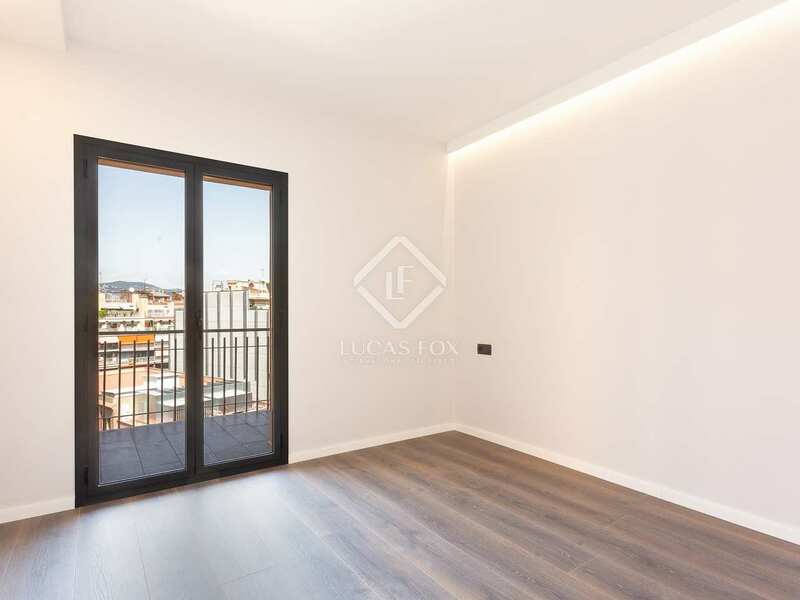 Two of these bedrooms enjoy access to an 8 m² balcony which overlooks the peaceful interior block patio. 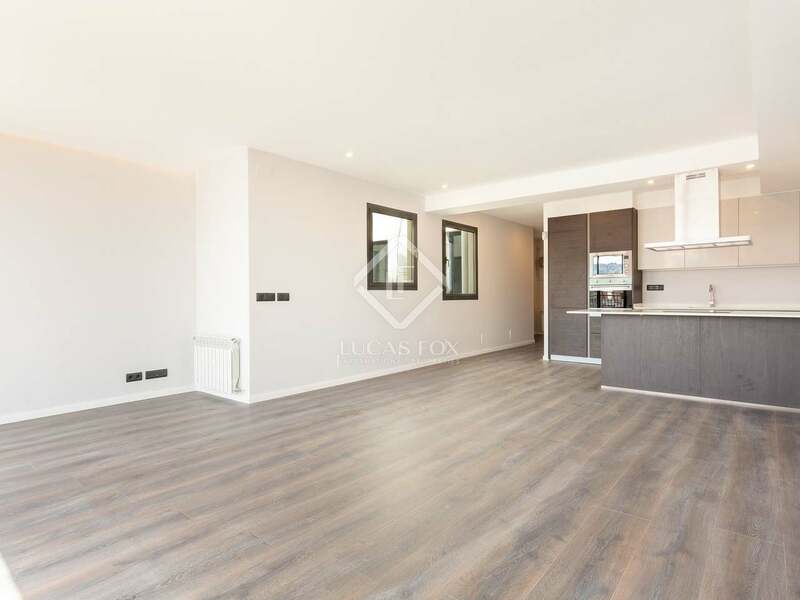 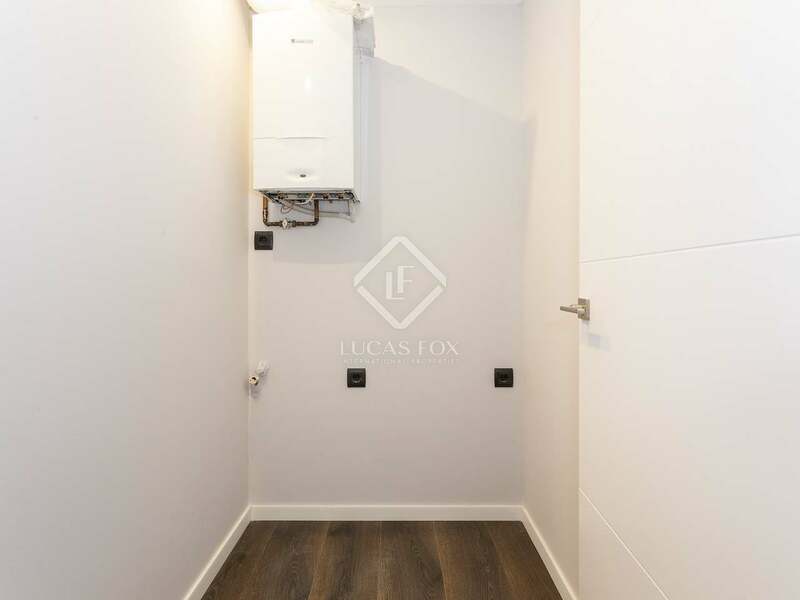 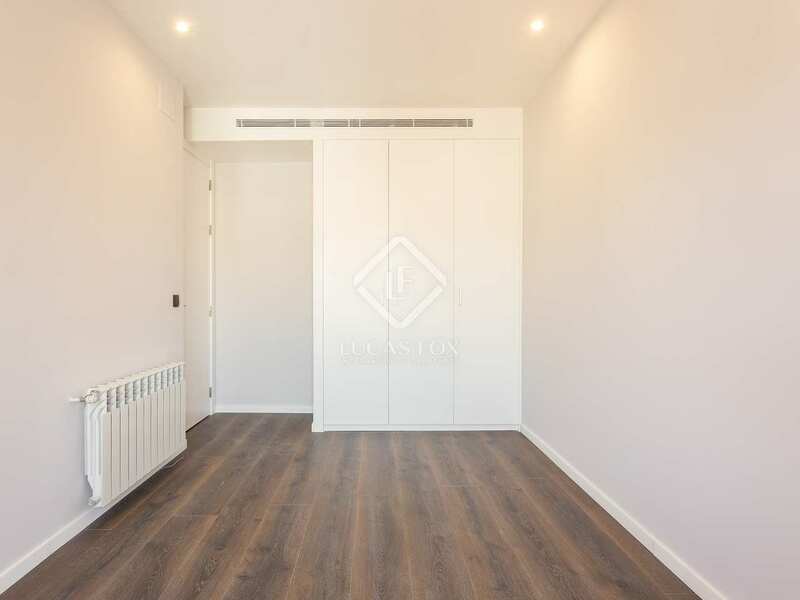 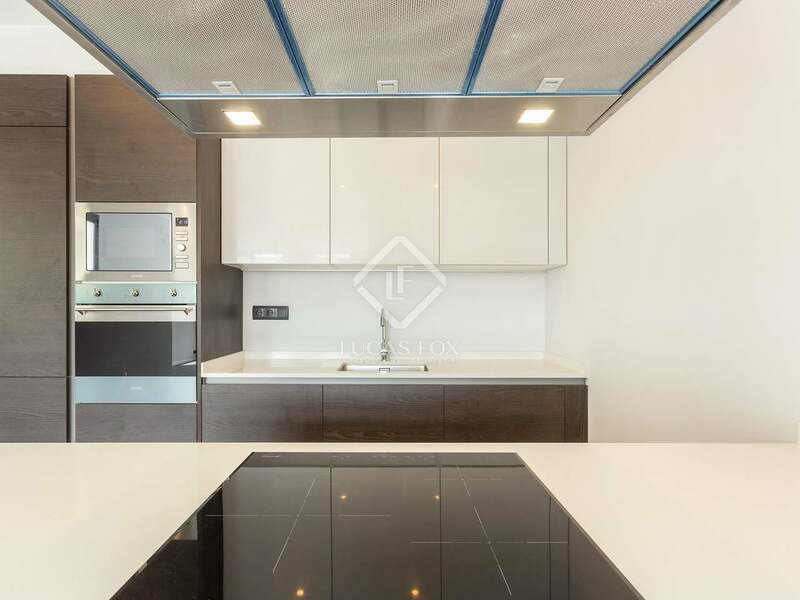 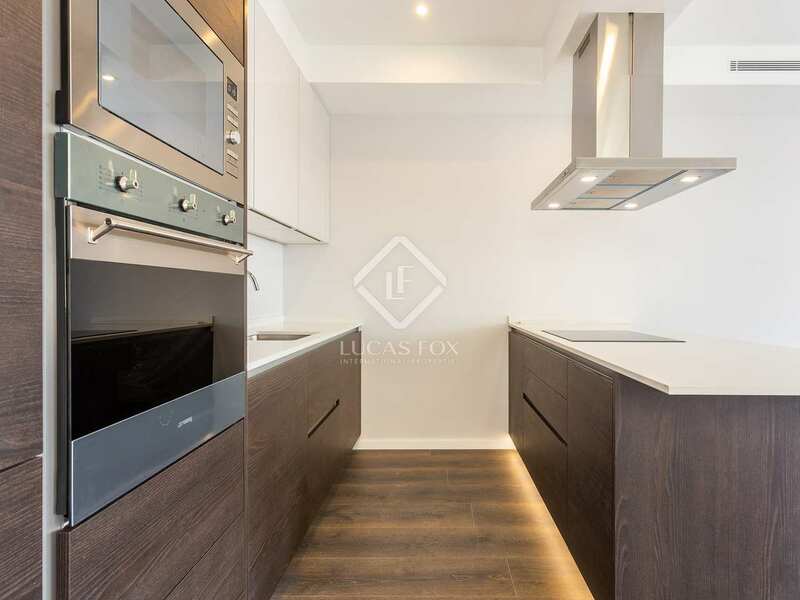 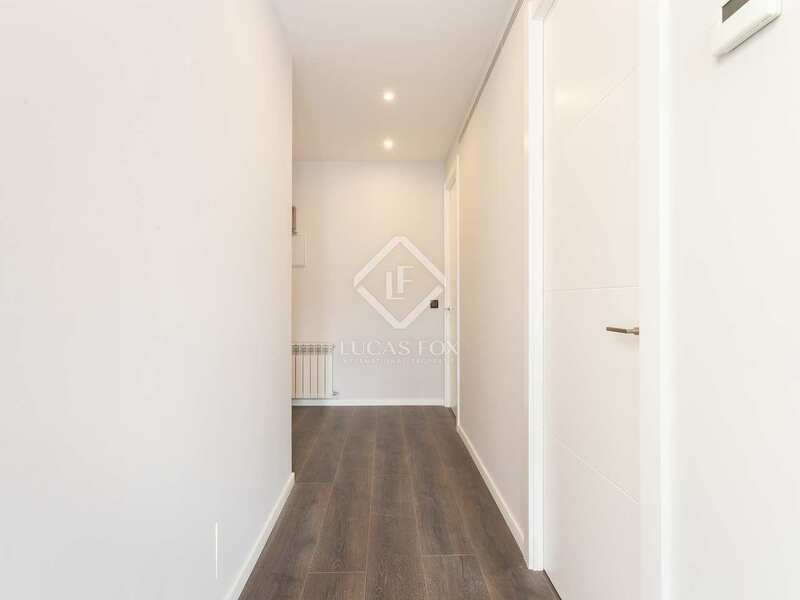 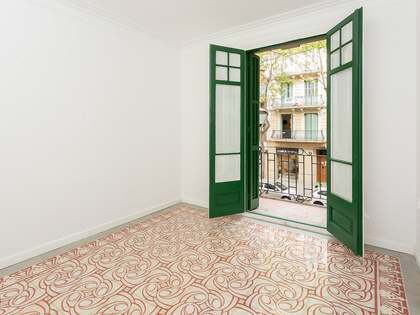 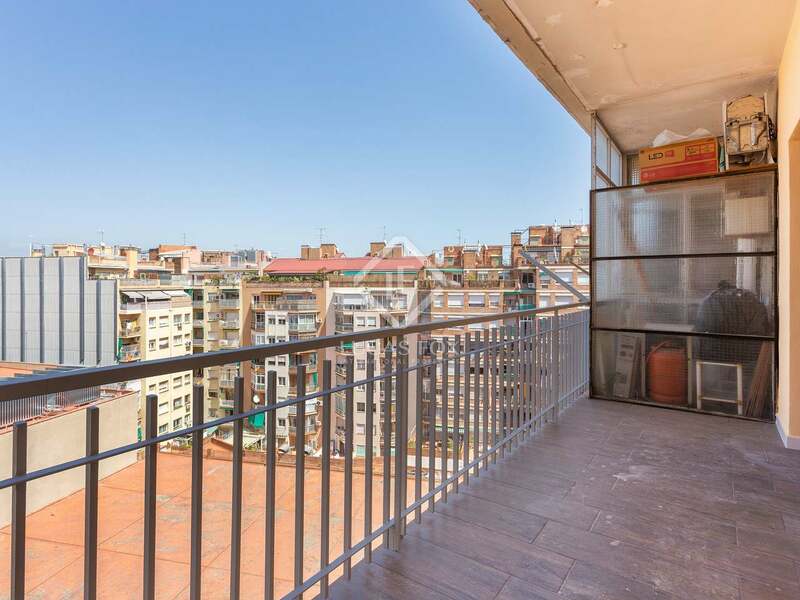 An excellent property for a family in a great neighbourhood of Barcelona with plenty of transport services and amenities in the immediate surroundings. 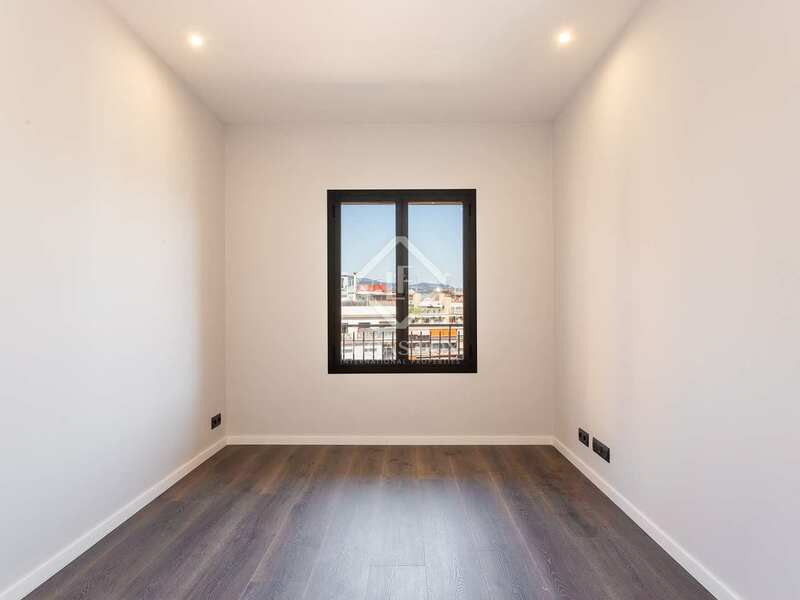 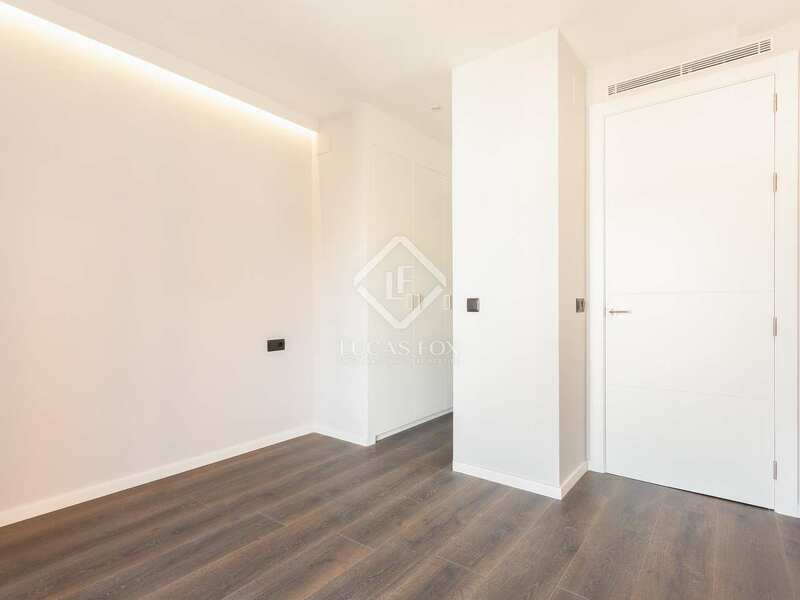 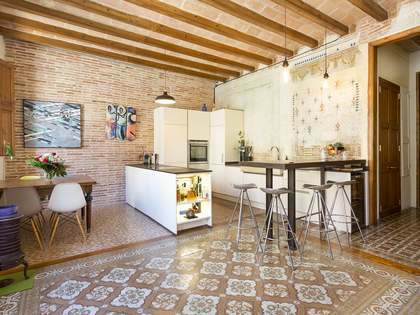 This property is located at the heart of the Sant Antoni neighbourhood, on one of the most peaceful streets in the area. 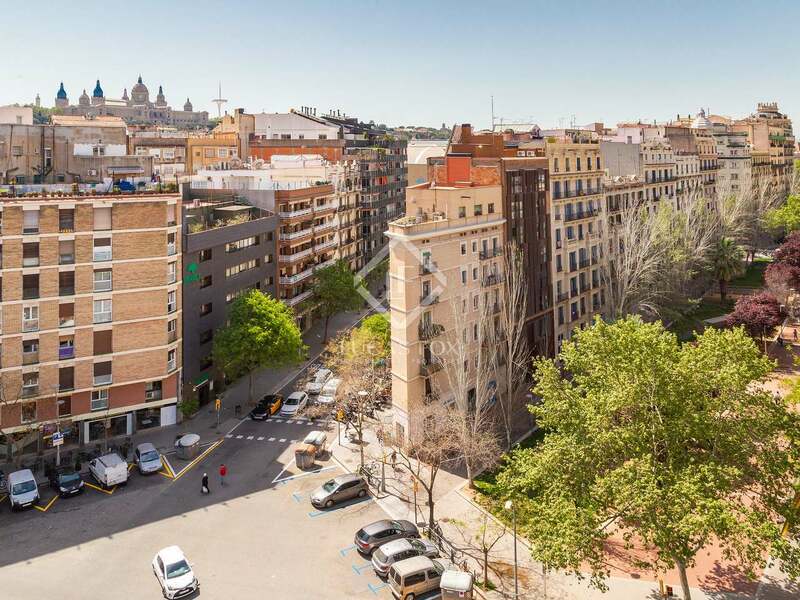 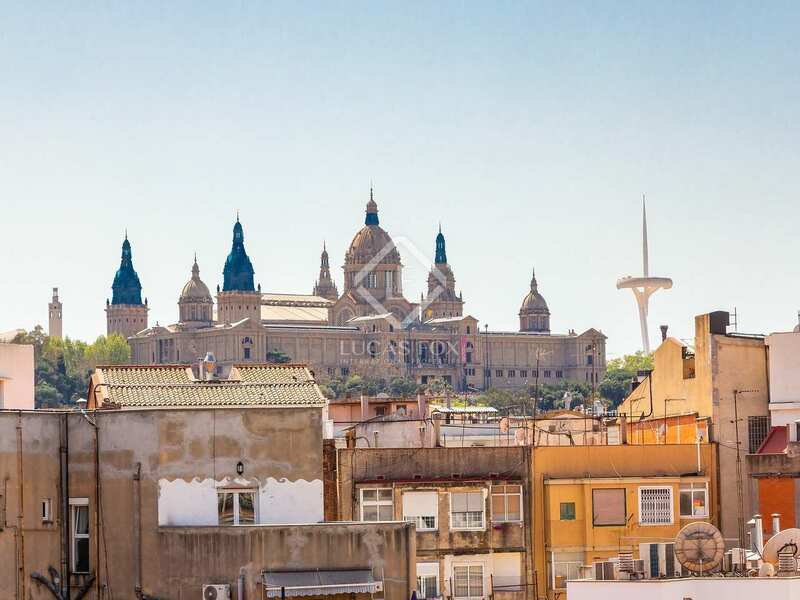 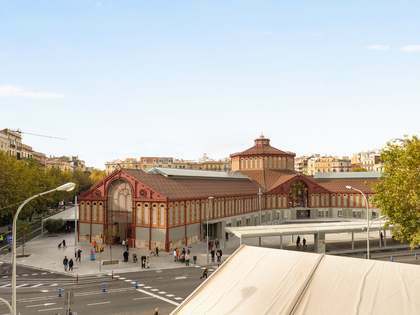 Sant Antoni is an up-and-coming neighbourhood with a market that is due to be revamped in the near future, complimented by a pedestrian area, public squares and gardens. 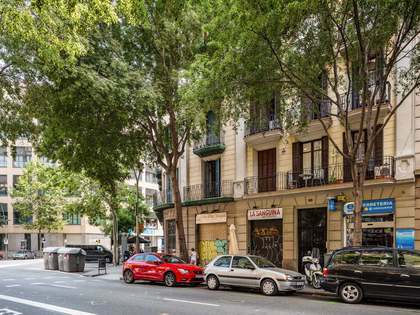 The neighbourhood of Sant Antoni is well known for its excellent restaurants and the theatres found on Paral.lel.